The Canon EF 24-70mm f/2.8L USM II Lens boasts increased optical performance over its predecessor, the Canon EF 24-70mm f/2.8L USM Lens. This lens is constructed with improved dust sealing and water resistance along with special coatings to reduce fingerprints and smearing. A zoom lock lever keeps your lens in place during transport and a high-speed CPU with optimized AF algorithms ensures a fast and silent AF, making this lens particularly well suited for events. 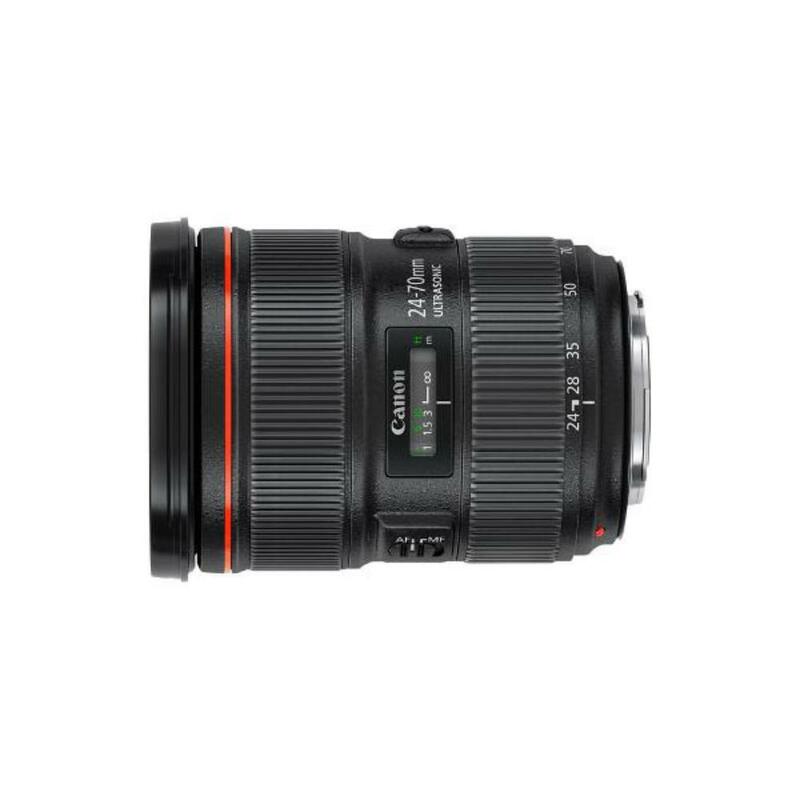 The Canon EF 24-70mm f/2.8L USM II can be paired with both full frame sensor cameras, such as the Canon 5D Mark III, and with crop frame sensor cameras, such as the Canon 7D Mark II. The focal length equivalent on crop frame sensors is 38.4-112mm. While this lens is lightweight and easy to handle, it does not have built-in image stabilization. If you need image stabilization in this range, please see the Canon EF 24-70mm f/4L IS USM Lens. This lens is ideal for weddings, events, vacations, landscape photography, portraits, videography, and high quality everyday shooting.